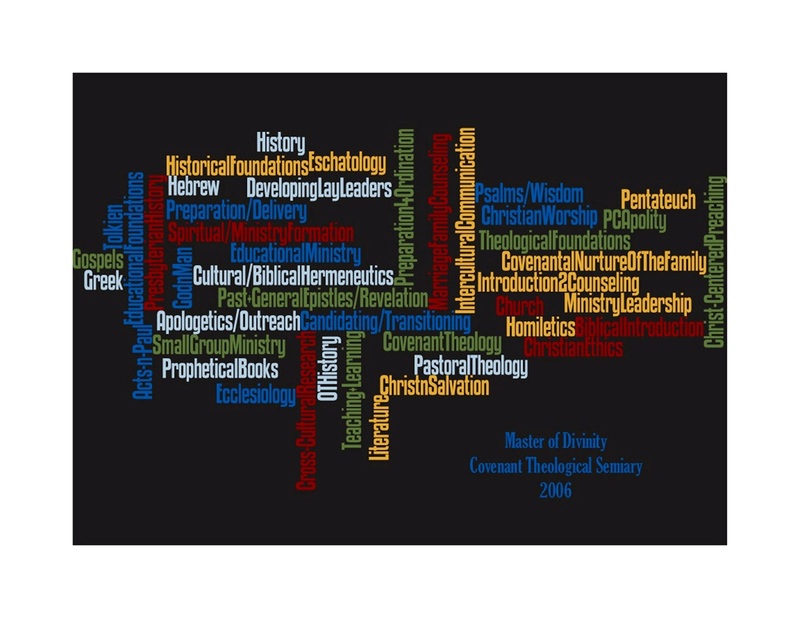 These are all the classes he took in seminary and they are in the school’s colors. I had it printed as an 11×14 photo and framed for his new office. It turned out great. I was so excited about it that I gave it to him early – only 12 hours early, but still early. He LOVED it. I am so glad he did. The other fun thing is that I FINALLY got his diplomas (college and seminary) framed for his new office as well. They aren’t done yet but they are going to be SWEEEEET. Very nice poster, but I really likeee the new flowers on your page!! Nice touch. Love this…I might copy the idea as a gift for Mitch. Love the new blog look, too!